Astorga is a historic city in the province of León (northwestern Spain), well known for the disneyesque Episcopal Palace by Gaudi, the cosy Chocolate Museum, the ancient roman ruins (don’t miss the Roman Route), the Cathedral or the delightful maragato stew (the local “cocido“). The Christian Holy Week and Astures and Romans (a great event of Roman reenactment scheduled on the last weekend in July) are the two main fiestas in the city, and attract thousands of visitors every year. The Episcopal Palace of Gaudi – february 2016. Near Astorga you will find one of the most charming villages in Spain, Castrillo de los Polvazares, as well as petroglyphs dated 2500 years BC and archaeological wonders such as the 600 km of roman canals around the greatest gold mining complex of the Roman era, Las Médulas. 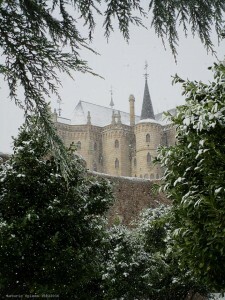 The 11 or 12 stages from Astorga to Santiago make Astorga a popular starting point for the Camino. The city is a key point in the Camino de Santiago, as the two mains routes to Santiago, the French Way and the Vía de la Plata, meet here. There are two albergues in the city, as well as supermarkets, spas, tapas bars and everything the pilgrim might need. Astorga is about three hours from Madrid by car via the A6 highway to Galicia, and some two hours and a half from La Coruña. 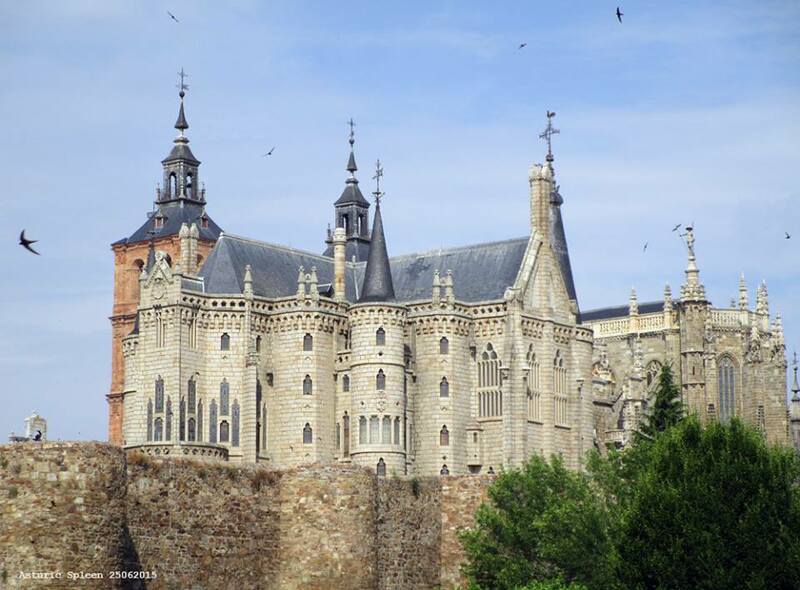 Astorga is less than two hours from León, Salamanca, Gijón, Oviedo, Lugo, Burgos or Valladolid, all of them in NW Spain, and less than three and a half hours from Porto, in Portugal. You can also get to Astorga by bus from Madrid and from almost any capital city in the Northwest of Spain (check alsa.es/en for timetables, prices and offers) or by train from Barcelona, Zaragoza, Madrid, La Coruña and several other main cities across northern Spain (check renfe.com/EN for timetables, fares and discounts). The nearest airports are in León (LEN, 45 minutes), Asturias (OVD, some 2 hours) and Valladolid (VLL, less than two hours).